Follow Jack Russell, a sleuthing hound with a nose for crime, as he sets off on the trail of four adventures. When he moves to Doggeroo with his policeman owner, Sarge, Jack Russell is expecting a quiet life. 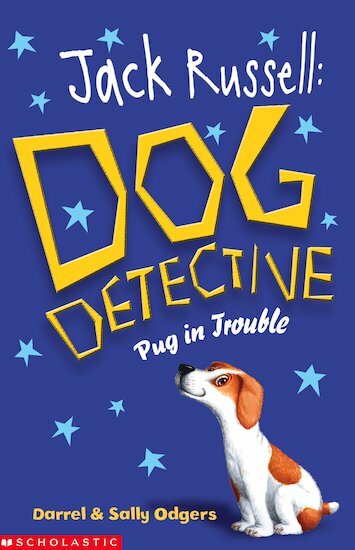 But it’s not long till he sniffs out trouble brewing, and sets out to track down some naughty crooks! Dastardly dognaps, stolen swag and muddy mysteries… you’ll love his world of doggy derring-do!